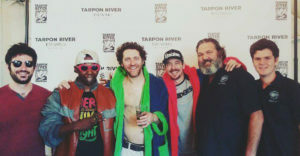 The Riverside Market » Events » The Fish return to Tarpon River! The Fish return to Tarpon River! Fish Out of Water performs live at Tarpon River Brewing in the heart of Ft. Lauderdale, FL Tuesday, June 12th 8:30pm – midnight!